Firewalls: Still Alive and Kicking | Blue Mountain Data Systems Inc. The death of firewall technology was predicted years ago, shortly after its emergence in the ’80s. 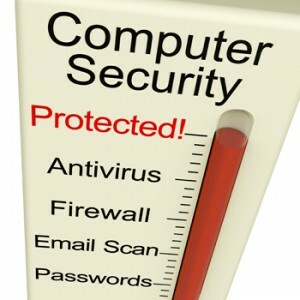 Despite the lack of confidence, however, firewalls have stood the test of time. Firewalls still remain a crucial element within network security regimes. Fifty-eight percent of organizations said that firewalls are as critical as they’ve always been. And 37 percent reported that they’re actually more critical now than they’ve ever been. The bigger and more established the infrastructure, the more complicated management tends to be. And according to 52 percent of respondents, firewall complexity is the biggest concern that IT practitioners have today about their firewalls by a long shot. According to the survey, next-generation firewalls are an increasing presence within enterprise firewall infrastructure. Nearly half—48 percent—of organizations state that NGFW make up at least 25 percent of their overall firewall infrastructure. As organizations have shifted to virtualized and cloud environments, firewalls continued to play a role in maintaining access controls in this infrastructure, according to nearly 90 percent of respondents. Most IT professionals are realistic about how they see firewalls evolving under the shift to software-defined networking. Just 4 percent of IT pros believe that SDN platforms will eliminate the need for a stand-alone firewall. Meanwhile, an additional 11 percent are skeptical about SDN, stating that it is a buzzword technology that will have little impact on the role of the firewall. For more information on the lifespan of the firewall, see the full Dark Reading article and Firemon survey.